Hey! Are you coming to São Paulo and need a place to stay? Stay with us and enjoy the best of this 'hallucinated city'. We promise you won't regret it. Pauliceia is a brand new hostel. If you're looking for a place to rest (in great style), drink caipirinhas, meet people and have lots of fun, you're definitely gonna love your stay! The rooms and bathrooms are big, they're always clean and the beds are super comfy. We are located three blocks away from Paulista Avenue and the metro (Consolação - green line so it's gonna be easy to move around). 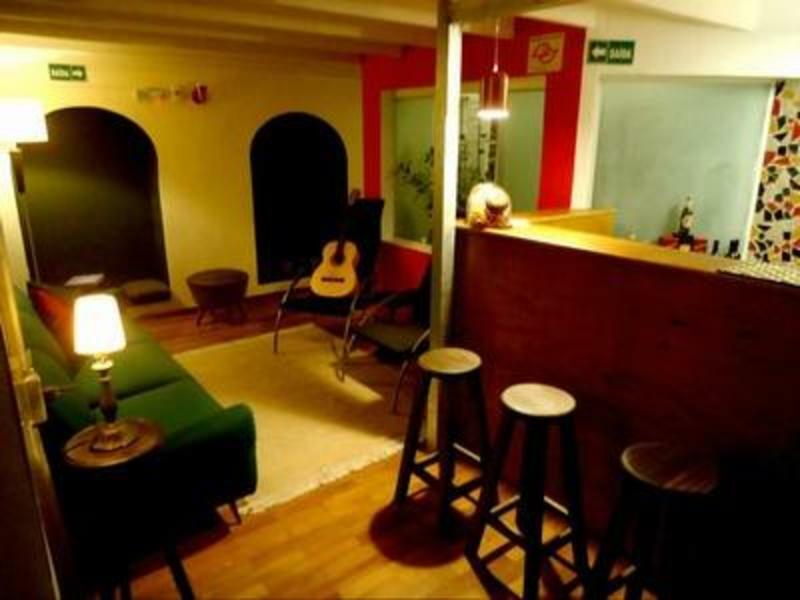 The hostel is surrounded by pubs, shops, restaurants, movie theaters and the best clubs (that's right!! we're a few blocks from Augusta street, so if you like to dance, you better be ready to party all night long). We offer our guests breakfast, free internet and wi-fi and we even make your beds daily. Our receptionists are gonna love to give you the best tips about São Paulo and outdoors activities. So what are you waiting for? Book with us and have the time of your life. Mixed dorms with bunk beds and lighting. Common Living-Rooms with TV, DVD's, library and games. Computers with free access to the internet. Bar & Coffee that serves Brazilian drinks and snacks. Collective kitchen equipped with cabinets, stove, refrigerator, microwave oven, sandwich maker, blender, dishes, glasses and cutlery. If you have to cancel your booking, you must do it at least 72 hours before arrival. - Aiport Bus Service (Executive/ Circuito Hoteis). It costs R$ 33.. When you get to Rua Frei Caneca (near the mall Frei Caneca). Youll be two blocks away from the hostel. - Taxi: About R$ 100 paid in advance at the airport. It will bring you to the hostel door. If youre in a big group, thats probably the best option. - Airport Bus Service + Metro (its the best one if youre in a low budget. This combination will cost you around R$7. Get the bus that goes to Metro Tatuape (Red Line). Get off at Se Station and exchange to the blue line. Get the metro that goes to Jabaquara, but get off at Paraiso. Youll have to get the green line now (to vila madalena) and get off at Consolao station. Once you leave the station, youll be in avenida paulista Walk until you reach rua peixoto gomidewalk 5 blocks and youll be in Herculano de freitas. The easiest way is to take a taxi! It will cost approximately R$35. Take the metro (blue line the one that goes to jabaquara, R$2,90). Get off at Se Station and exchange to the blue line. Get the metro that goes to Jabaquara, but get off at Paraiso. Youll have to get the green line now (to vila madalena) and get off at Consolao station. Once you leave the station, youll be in avenida paulista Walk until you reach rua peixoto gomidewalk 5 blocks and youll be in Herculano de freitas. Take the Metro (R$2,90) and go to Corinthians- Itaquera. Get off at Se Station and exchange to the blue line. Get the metro that goes to Jabaquara, but get off at Paraiso. Youll have to get the green line now (to vila madalena) and get off at Consolao station. Once you leave the station, youll be in avenida paulista Walk until you reach rua peixoto gomidewalk 5 blocks and youll be in Herculano de freitas.